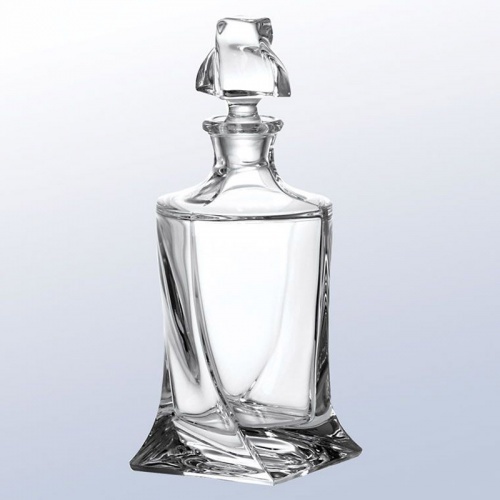 A classic crystal decanter with a modern twist! These stylish spirit decanters have a very distinctive twisted square shape that is sure to make a big impression when presented. Crafted in clear non-lead crystal, they can be engraved on the body to create a superb personalised gift or award. Capacity of decanter is 825ml. Each decanter is supplied presentation boxed.